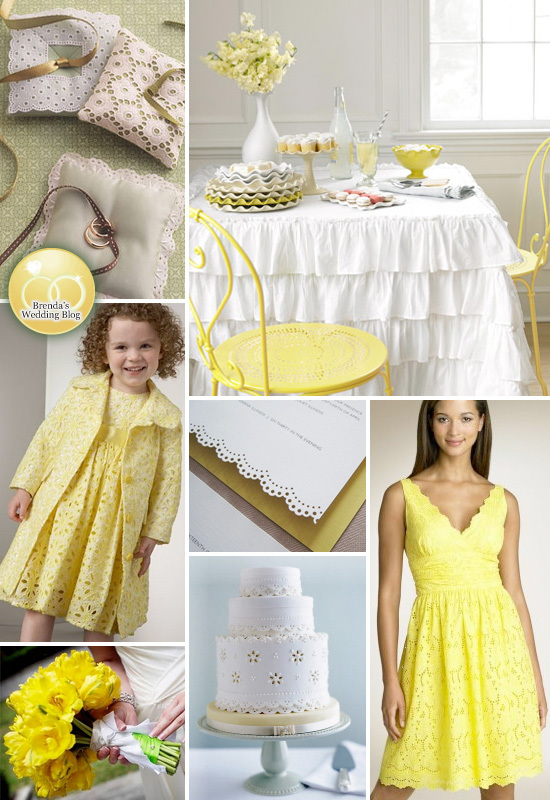 My inspiration photo for this board was the adorable table setting with yellow bistro chairs. I started creating a ruffle theme board, but once I saw the design in the chairs, it reminded me of eyelets. So, the board shifted focus, and I worked on a different "wedding ruffle" board that I'll be sharing with you very soon. Yellow is a favorite spring time color for me and you can't help but feel happy when you see it.